Rising majestically above the Cheshire landscape, Peckforton Castle is both enigmatic and enchanting. Originally the home of Lord Tollemache and built in the early 19th Century, this Grade I listed building is the only intact medieval-style castle in the country. Over the years the castle has been the location for numerous movies. Now owned by the Naylor family, the stunning exterior has been complemented by a loving and considered restoration programme resulting in a magnificent 48-room hotel and venue offering contemporary luxury and impeccable service. Peckforton Castle’s enchanting medieval style, tranquility, unspoilt beauty and on-site falconry all add up to a rather magical experience. The falconry presents an array of beautiful birds of prey including owls, hawks, eagles and falcons, all of which can be found by day weathering on the castle lawns. Peckforton prides itself on the variety of British species in its collection, reflecting the team’s main passions of conservation and education and residents and visitors are offered the opportunity to enjoy free-flying displays and hands-on encounters with these regal birds. Falconry provides a strong link between Bentley Motors in Crewe and its Cheshire neighbours at Peckforton. Today at the International Motorshow in Geneva, Switzerland, Bentley revealed its very special, all-wheel drive Sport Utility Vehicle design concept to the world. With this design concept, known as EXP 9 F, the Company is literally moving into new terrain for the Bentley brand, offering a fascinating vision of the future. The name ‘EXP 9 F’ continues a Bentley tradition for its Experimental concepts that dates back to the very roots of the Company. While this explains ‘EXP 9’, the story behind the ‘F’ is quite different. It stands for Falcon and helps to forge the link between Bentley Motors and Peckforton Castle. Achieving hunting speeds in excess of 300 kilometres an hour, falcons are the fastest moving creatures on Earth and capable of extraordinary feats of endurance. Among Peckforton’s most prized birds is Lola, a so-called Perlin, a hybrid falcon that combines speed with exceptional agility, attributes which reflects the character of Bentley’s SUV. This unique animal has acted as a guide for the Bentley engineering and styling team through the development of their new Concept. Peckforton Castle is a four star hotel, Conference Venue of the Year 2011awarded by HBAA and a winner of ‘Excellence in Business Tourism’ awarded by Marketing Cheshire. The hotel has recently undergone a £3.7m restoration programme to provide additional facilities including the 2010 Brasserie, beauty treatment area Tranquility at Peckforton Castle and 11 new en-suite bedrooms. Commissioned in 1840 by John Tollemache, Peckforton Castle was designed by famous architect Anthony Salvin. 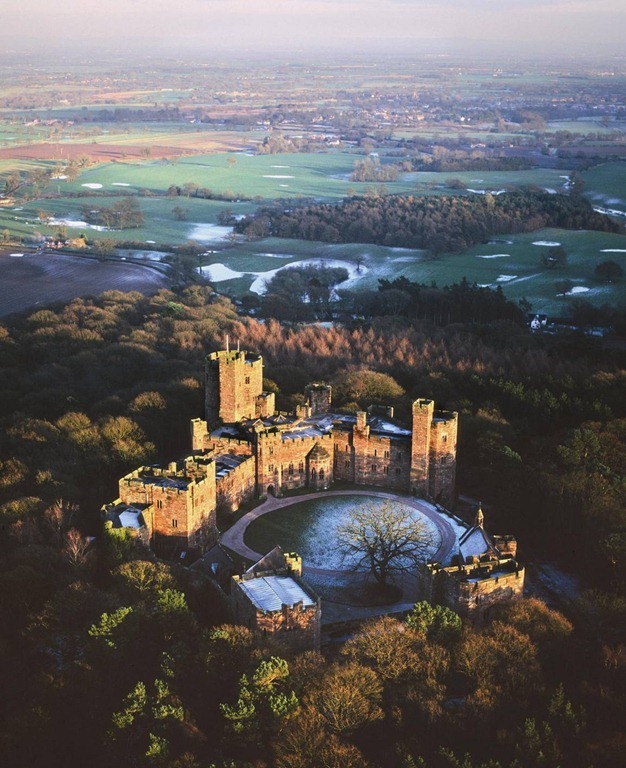 Peckforton Castle is English Heritage Grade I listed, family owned hotel nestled in the heart of Cheshire with excellent links from North Wales, Liverpool and Manchester. There are currently 48 en-suite bedrooms. Activities include falconry displays, team building options and onsite spa treatments.